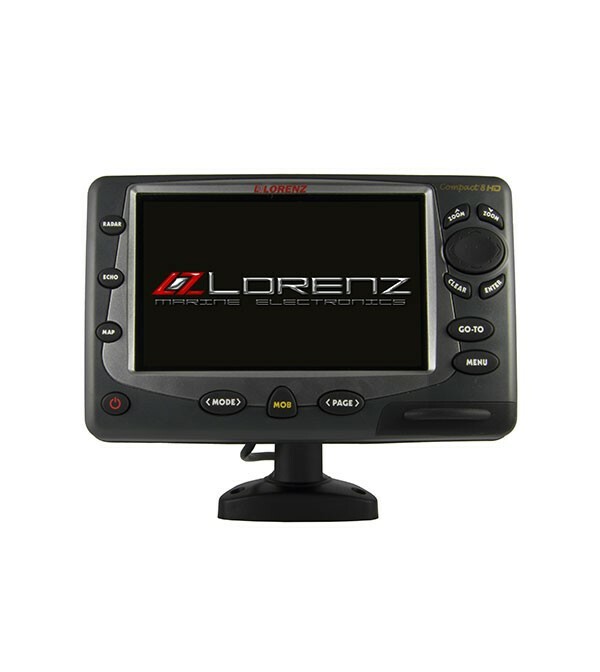 Lorenz Panoramic 8 HD is the maximum available on the market for those who want a remotely integrated navigation tool, suitable for boats that need a medium sized chartplotter. The high resolution 16: 9 screen with video input allows you to view images from an external camera (machine room control, etc.) or to watch a DVD using the high resolution WSVGA LCD perfectly visible in the sun. It is possible to install it on a quick release bracket, also feeding it through a cigarette lighter socket for a total removal of the navigation instrument. Although removable it can have up to 4 devices connected at the same time as: radar, fish finder, AIS, weather kit. The refined design reflects the completely "made in Italy" quality of the instrument. Thanks to the high degree of impermeability Panoramic 8 HD is suitable for outdoor applications during the harshest navigation conditions. The very high definition SD Fish Finder 50/200 KHz system allows a detailed color view of the fish and of the backdrop. SD Radar System: enables the chartplotter to receive radar data with a chart overlay function by connecting the appropriate radar antenna.